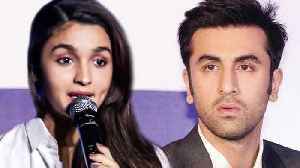 Ranbir Kapoor and Alia Bhatt are total #CoupleGoals! Salman Khan Will NEVER Forgive Ranbir Kapoor For Dating Katrina Kaif? #SalmanKhan and Ranbir Kapoor’s rivalry can never be forgotten. So now the question is when Salman is all set to work with Ranbir’s girlfriend Alia Bhatt, will he forgive Ranbir? Well, in order to..